Want help from a trained Dyslexia Tutor in Ridgefield? Dyslexia presents numerous challenges for students that permeate to nearly all fields of study. As classes become more complicated, these challenges only increase. Many people think that improving Dyslexia isn’t possible. But using a consistent, cumulative approach, the right tutoring services have been shown to increase reading comprehension skills in Dyslexic children. At Gold Star Tutoring, we have a trained Dyslexia Tutor that works with students in Ridgefield using the Orton-Gillingham approach so that students struggling with Dyslexia can thrive in school and beyond. What is the Orton-Gillingham approach and how can it help with Dyslexia? We use a modified version of the Orton-Gillingham approach, a method for helping students who have trouble connecting written symbols to sounds and the words they represent. The approach is multisensory, making use of touch, sight, and sound to help a student understand course content and what the questions are asking. Lessons are personalized to each individual student. Some learn in different ways than others and need help in different areas and our tutoring methods reflect this. It uses applied linguistics to show that the symbols of language aren’t abstract, but have practical, real-world value. Learning is incremental and cumulative, with each stage building upon the last. This approach provides measurable goals and progress towards them. Learning to manage Dyslexia can help make students make great strides in learning. While the focus of our reading tutor is in English, advances in coping with Dyslexia provide benefits in other subjects as well. 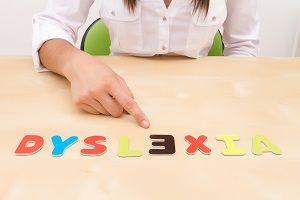 Many Dyslexic students often have trouble writing words too and can become easily frustrated. Management techniques can help to reduce this frustration. Math can be difficult for the same reasons as reading, as crucial symbols can get mixed up. A reading and math tutor can make sure the student orders the symbols correctly. Confidence is frequently low for students with Dyslexia. Increased confidence is often a byproduct of improvements made in reading and writing. 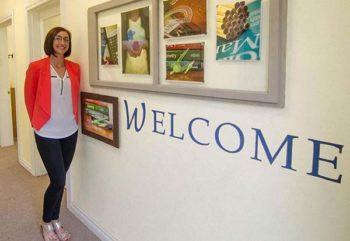 Call us today to make an appointment for Dyslexia tutoring in Ridgefield!